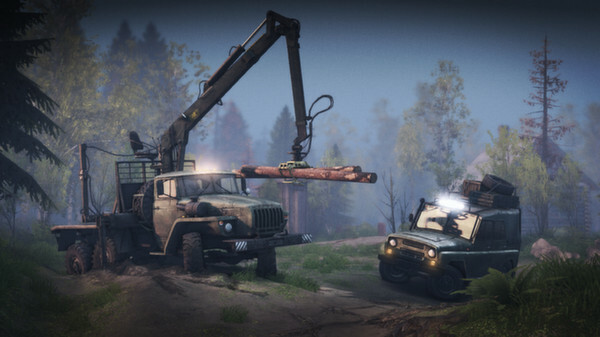 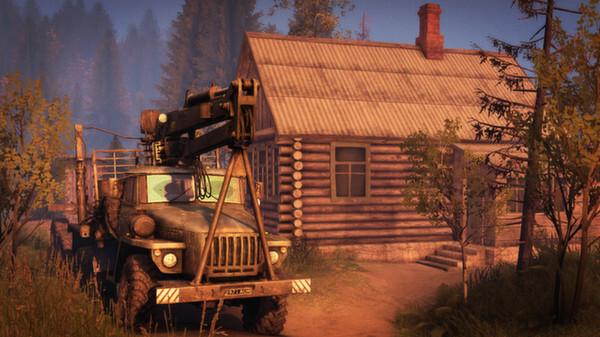 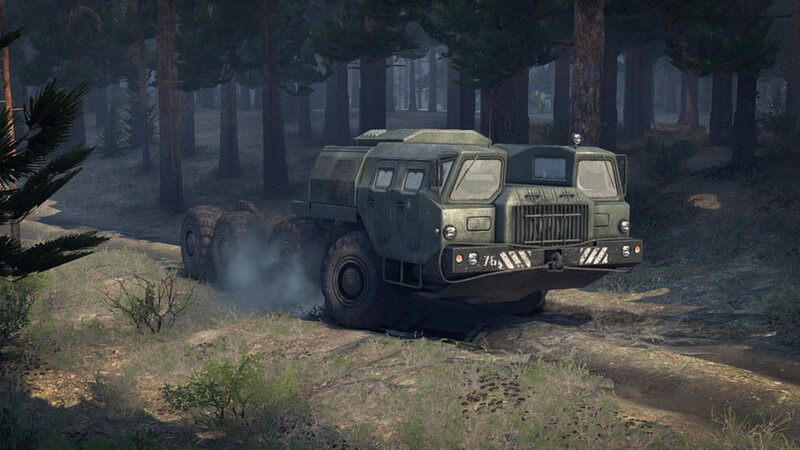 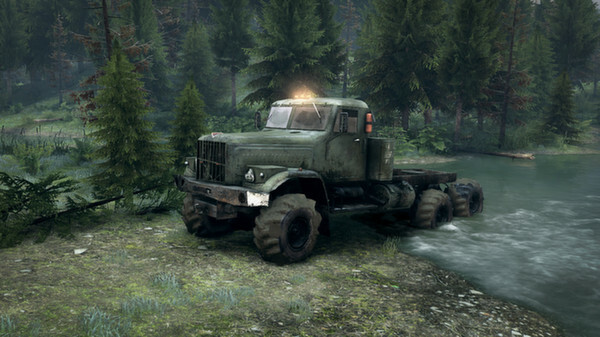 Spintires is a video game that challenges you to navigate trucks through difficult terrain. 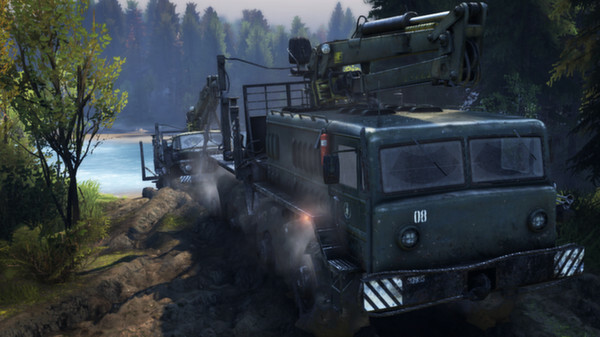 Spintires offers a simple yet engaging premise: take control of real-world trucks and navigate them through realistic terrain in a superbly accurate physics model. 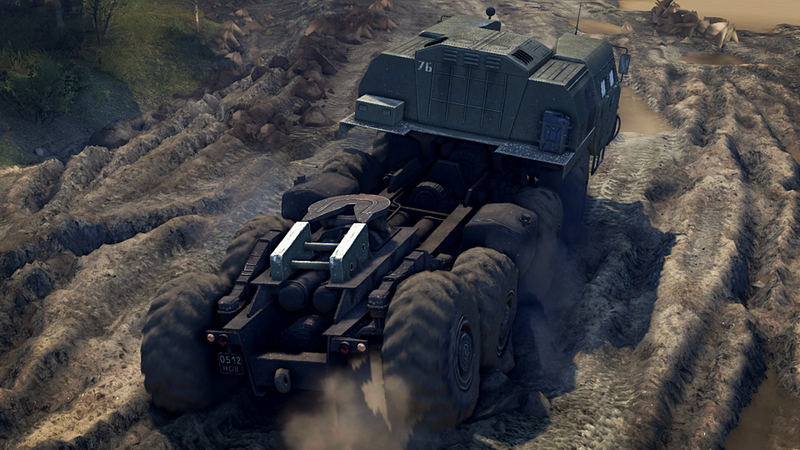 These aren’t passenger trucks; these are the behemoths used by militaries, construction companies and so forth. 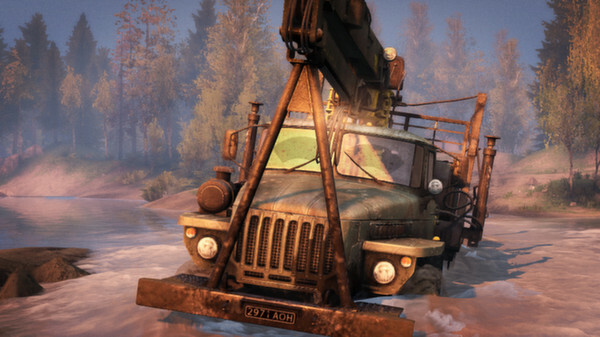 The goal of the game is to carry a payload from point A to point B, and you’ll have to figure it out as you go with only the tools that the truck provides. Although it can require a lot of patience, making your way through these varied terrains is a lot of fun. At first, you’ll get stuck a lot. 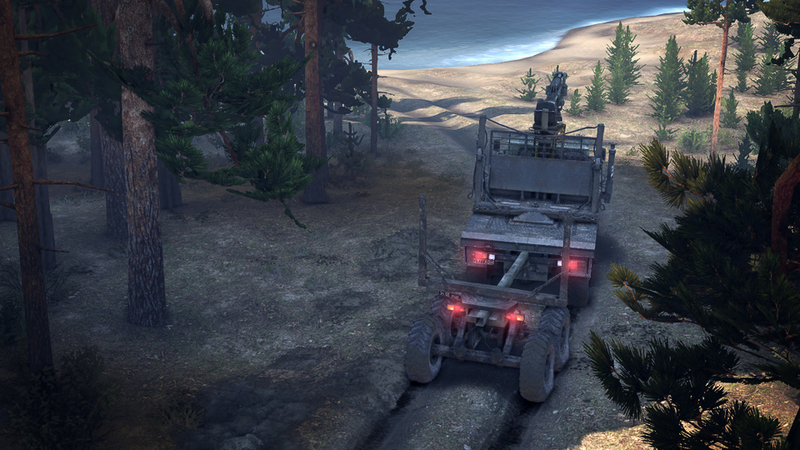 Fortunately, these trucks have tow cables, and you can even bring other trucks out to free ones you’ve gotten stuck earlier. Over time, you’ll begin to master terrain, and then, the game becomes not about reaching your destination but finishing in the fastest and most efficient manner possible. 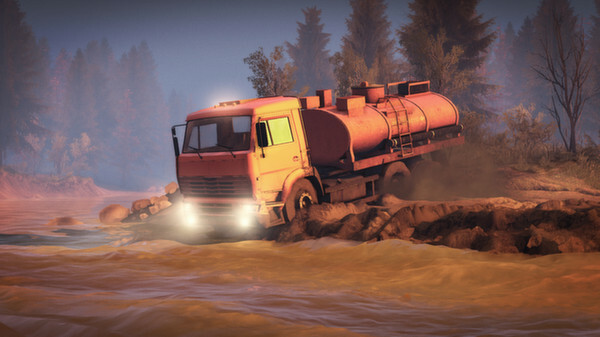 Be mindful that you’re not just contending with the terrain and the unique characteristics of a particular truck but the weather and fuel consumption and other factors. Spintires can be an exercise in frustration at times, but it also features a great deal of exploration. 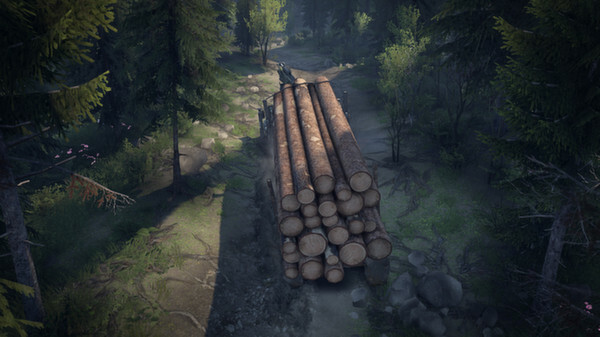 You’ll need to explore maps to identify the best paths, and that process can — until you get stuck — be quite peaceful and therapeutic. 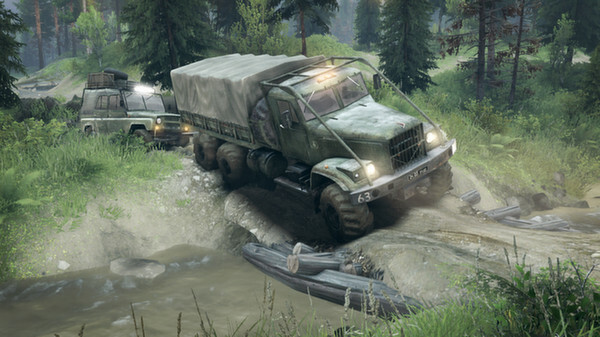 The game also features so many different maps and trucks that it will be a very long time before you master everything and get bored.